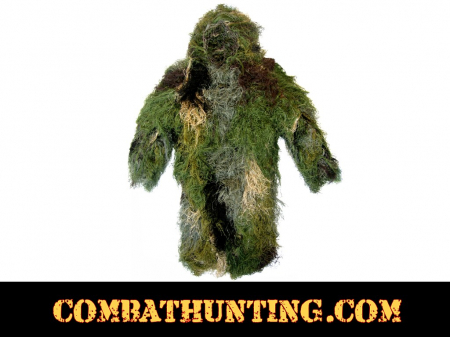 We have some of the best pre made military style synthetic ghillie suits for sale, easy for you to customize. 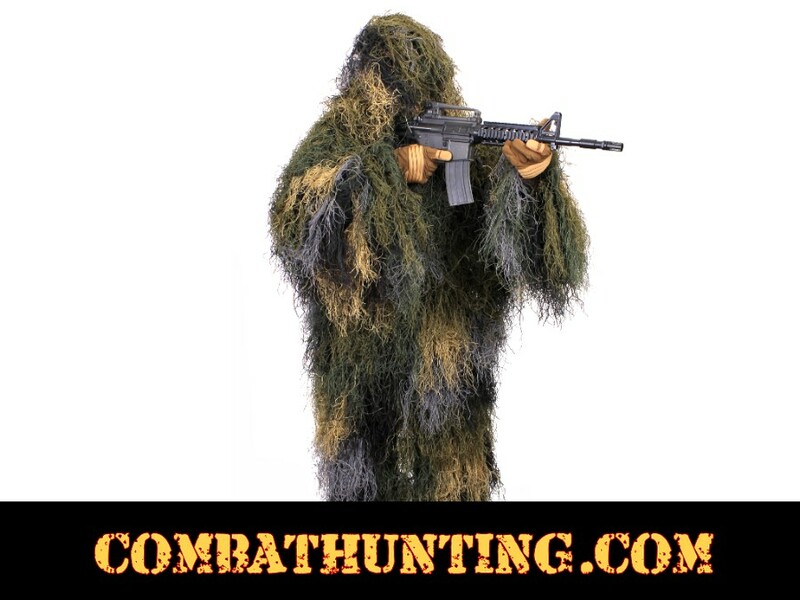 This new bushrag ghillie flage complete ready to wear sniper ghillie suit is designed for hunting and tactical use. This ghillie suit is a one piece full-length jacket that covers from head to boot you can move very freely. Made from single light-weight, synthetic jute string material that cuts the weight of this ghillie jacket to approximate 3 1/2 pounds. Ghillie suits outer shell made of 3/4" netting, allowing the user to insert natural vegetation or any additional material to alter the camouflage pattern. The jacket comes with an attached hood and cord-locks and elastic-cuffed sleeves. This new product is scentless, hand-washable, non-allergenic, water, and mildew resistant. It is great for archery hunting, rifle hunting, combat, paintball, Military and Law Enforcement. Ghillie Suit Comes In Color Choices Use The Drop Down Box At Check Out To Customize Your Order.